Working on a case study requires students to perform an extensive level of research work, while at the same time developing keen observation skills. Can My Instant Essay help out college students with critical analysis of such nature? A case study is a widely used research methodology which aims to explore a phenomenon within a practical and real-life context. Analyzing a case study demands a detailed investigation of an event, policy, institution, group, or even a single person. Case-studies have been made an integral part of college and university curriculum because these educational tools enable students to conduct independent research, critical analysis, and evaluation. And these activities certainly demand a considerable chunk of time from a college student’s daily routine. A routine which is already marked by back-to-back lectures, tons of homework and assignment, and other curricular and co-curricular engagements. So what should a smart college student do, if he/she has to submit a quality case study analysis on time? Simple – get in touch with a trusted and reliable name that provides quality –oriented case study analysis help delivered to you at your time of need. My Instant Essay is one such name that can cater authentic and original case study writing services to college students just like you. I am facing problems in grasping the fundamentals of the case study assigned to me by my professor. How will My Instant Essay help me with it? Writing and analyzing case studies is no mean feat. Not only does it require a sturdy grasp over the subject matter, but also the ability to examine empirical data that reveal critical patterns and insights. A student has to follow rigorous research methodologies and innately rational thinking when dealing with case study analysis. A lot of students find such qualities difficult to demonstrate thus falling behind with their grades. Lucky for them, My Instant Essay is here to address this particular issue of university students that stands as a hurdle between them and exceptional grades. My Instant Essay’s case study experts aim to share your academic burden by drafting cogent, accurate, and detail-oriented case study analysis. Our writers come with years of scholarly and industry-relevant experience and these contribute significantly to their respective skill-set. Our subject-specific experts specialize in drafting well-researched and methodically-presented case study analysis that is bound to help you achieve your desired grade. We make sure that every case study writer that gets assigned to you has demonstrated high proficiency in research and writing via a series of in-house training sessions and regular quality checks. Where else will you find the guarantee of quality and promise of timely delivery? My Instant essay is the name to trust whenever you are stuck with a case study analysis task. Who will write my case study for me? Does My Instant Essay promise to deliver my case study analysis before my deadline? My Instant believes in hiring only from the best. Only those case-study experts who have proven their academic and professional worth are selected to write your case study analysis. No dubious claims, no hidden charges. We operate on policies which are strict and transparent. 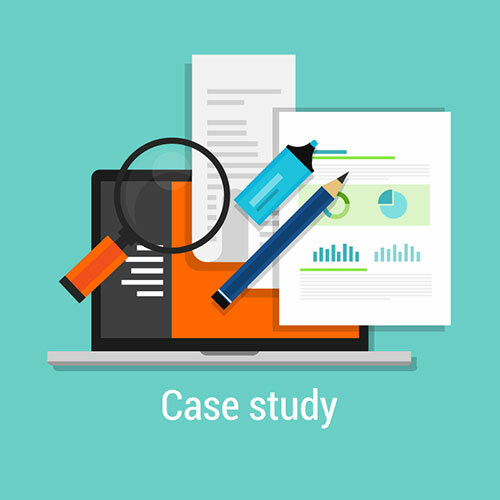 When you request a “write my case study analysis for me” service, we connect you to a league of expert writers. You have the liberty to choose your case study expert via a fair and open bidding system. Once you have selected your writer, you can hand him/her over the list of your academic requirements and specifications which should include a mention of your deadlines. Our writers, then start working on it diligently, making sure that you get nothing less than a 100% perfect work. We work round-the-clock to ensure that your assignment gets completed before time. In the very rare case, our team is not able to adhere to your deadlines, we guarantee you a 100% money refund, without charging any hidden costs. On-time delivery of a quality case-study analysis is an essential part of our services. We promise you that with My Instant Essay as your go-to academic assistant, you will never have to worry about a quality case study analysis ever! Just send-in a simple “case study analysis help” request and be ready to embrace the excellence and dedication of our expert case-study writers.